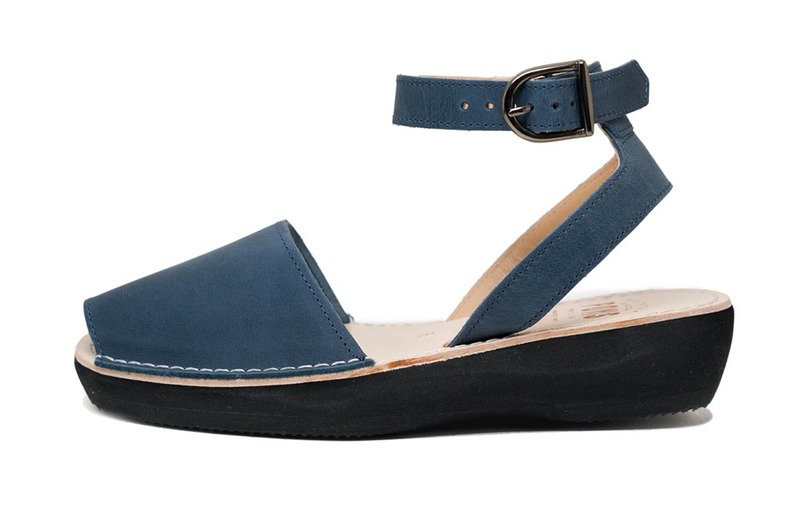 Our women's Mediterranean Pons Avarcas in French Blue feature a neutral navy colored full grain leather. 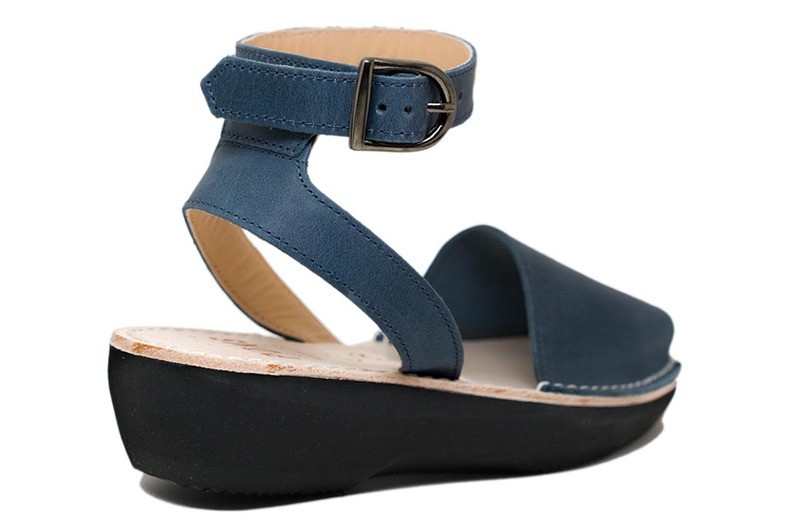 These Pons are handmade in Menorca, Spain from high quality leather, have an ankle strap for a secure fit, ensuring you feel at ease and comfortable wearing these sandals, and feature a 1.5 inches (3.80 cm) lightweight platform sole. We think they are perfect for pairing with both light and dark jeans, as well as brighter colors like coral, yellow and white. No matter your outfit, these handmade sandals will add definite style and comfort to your day!